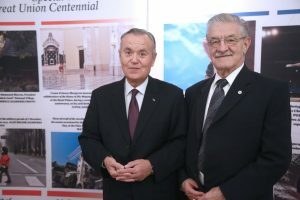 On 28 November 2018, the Embassy of Romania in Zagreb organized in the Croatian Journalists House a reception to celebrate the National Day of Romania and the anniversary of the Centennial of the Great Union. 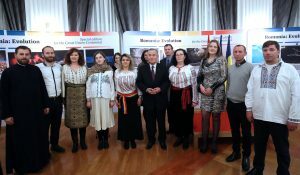 It was inaugurated, in the presence of the general manager of Agerpres, Mrs. Claudia Nicolae, the photo-documentary Exhibition “Romania-Evolution” carried out by the Romanian News Agency. 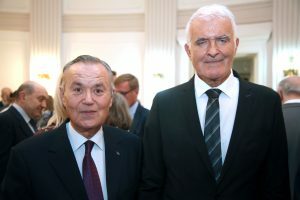 Representatives of the political, parliamentary, diplomatic, economic, cultural, academic, media and numerous members of the Romanian community and Romanian speaking communities in Croatia attended the event. 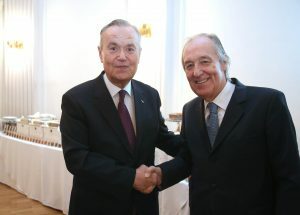 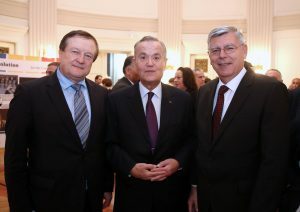 Among the guests were Vice-presidents of the Croatian Parliament, Zeljko Reiner and Furio Radin, Croatian President Advisors Mate Granic and Dario Mihelin, President of the Foreign Affairs Committee of the Parliament of the Republic of Croatia, Miro Kovac, Secretary of State in the Ministry of Foreign and European Affairs, Andreja Metelko Zgombic, Secretary of State in the Ministry of Economy, Entrepreneurship and Crafts, Mario Antonic, Mayor of the City of Opatija, Ivo Dujmic, the President of the Academy of Sciences and Arts, Zvonko Kusic, and Rector of the University of Zagreb, Professor Damir Boras.